Constantine is a Greek-American actor and rock singer from Wyckoff, New Jersey. 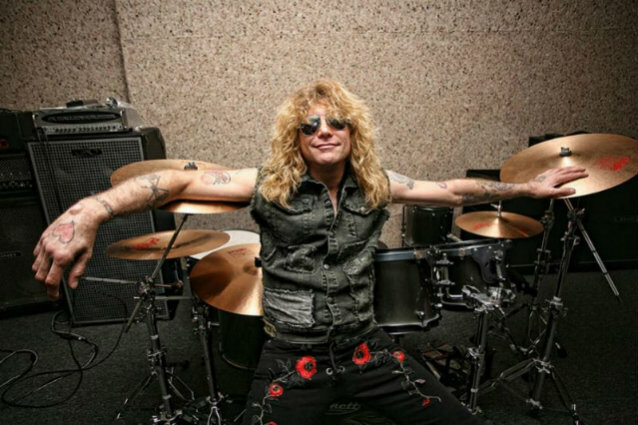 He was the sixth-place finalist on the fourth season of "American Idol" and received a nomination for the Tony Award for "Best Performance By A Leading Actor In A Musical" for his role in "Rock Of Ages". He starred in the title role in "Jekyll And Hyde" on Broadway, for which he received a Drama League Award nomination for a "Distinguished Performance Award." Carl Restivo is a multi-instrumentalist, vocalist, songwriter and producer. Carl is a member of Tom Morello's NIGHTWATCHMAN band and was in STREET SWEEPER SOCIAL CLUB, Perry Farrell's SATELLITE PARTY and Rihanna's band. He has co-written about a dozen songs with Perry Farrell ("Go All The Way" from the "Twilight" soundtrack, and "Underground" from JANE'S ADDICTION's "The Great Escape Artist"), and is a producer on Morello's new solo album coming out October 2018. Restivo also is a co-owner of Paramount Academy Of Music, a non-profit music school in Los Angeles, where he currently resides. McNabb is an American actor, bassist and singer. At age 21, he became the bass player of the 1980s metal band QUIET RIOT, replacing Chuck Wright. McNabb joined DOKKEN as their bassist in 2009 and was a mainstay with the band until 2014. He has also toured and recorded with HOUSE OF LORDS, GREAT WHITE, LYNCH MOB, MONTROSE, QUEENSRŸCHE, Jack Wagner, Don Felder, Edgar Winter, Maya, BAD MOON RISING, ROUGH CUTT, BURNING RAIN and XYZ. Thomas began at the age of 12 when he picked up his first guitar and his shining career was born. This ferocious shredder has played with such bands as FASTER PUSSYCAT, BANG TANGO, his own band FASTBACK and BEAUTIFUL CREATURES. But there is so much more to this sensational artist. 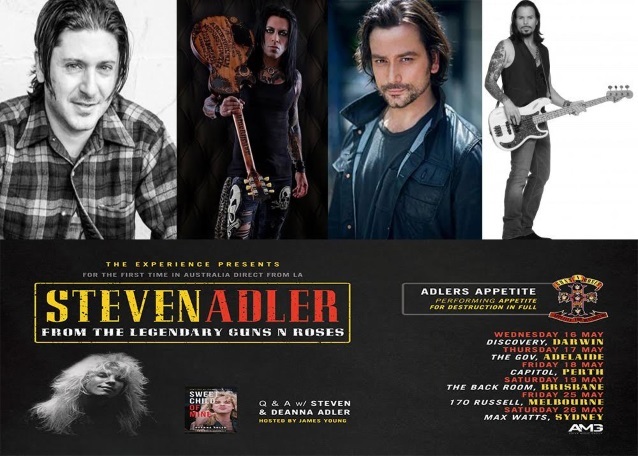 ADLER'S APPETITE FEATURING CONSTANTINE MAROULIS will make its live debut on May 10 at the Whisky A Go Go in West Hollywood, California.